80% Goose Down 20% Goose Feather Pillow | Superior Quilt Co. The Superior Quilt Company is a proud Australian company that has provided quality pillows and other bedding products for over 20 years to its valuable customers. Our Duck Down and Goose Down pillows offer some of the best quality options for pillows and are designed to meet the highest standards for bedding. Our Duck Down pillows are made from the highest quality Duck Down. These pillows are made in Australia using imported material. Available in Standard, European and King Sizes. However, special sizes are also available upon request. Goose Down is lighter than feathers and gives greater loft. 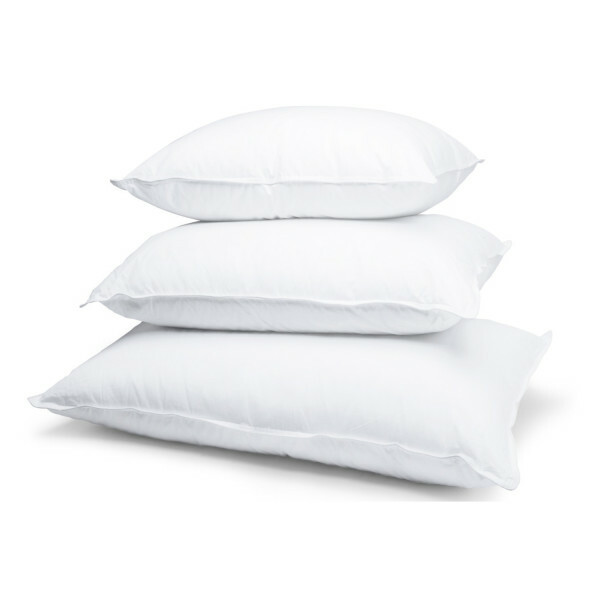 Our Goose Down pillows are made of a blend of 80% Goose Down & 20% Goose Feather. Available in Standard, European and King Sizes. However, special sizes are also available upon request. We also offer Duck Down & Feather blends, in a range of options that helps you choose the perfect one for your needs. If you are searching for the right Duck Feather Pillows or Goose Down Pillows, our bedding experts can help you to select the right pillow based on your sleep preferences. Call us on (03) 9462 5888 today if you have questions about our pillows or to place an order. Our friendly staff is happy to assist you.